Don’t you just love Tommy Lee Jones in a movie? A strong dose of what Mr. Jones is, when you think of him in a picture, can be seen in The Homesman. He also directed it, was one of its producers and helped Kieran Fitzgerald and Wesley A. Oliver write the script. The story comes from the 1988 same-titled novel by Glendon Swarthout. After a well-surveyed look of the cast of characters alive in about 1850 and residing around Loup City, Nebraska, there’s an epidemic of PTSD. Everyone is going rather nuts with all the flat, monotonous terrain; the isolation; the elements and deadly diseases that ravage families. In particular, three married women around Loup City have gone all the way off their “rockers” because of varying stresses. Their spouses can’t care for them, and the demented wives can’t be mothers to the children. 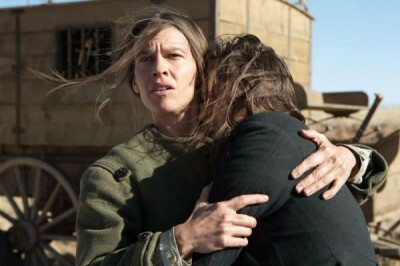 It falls to Mary Bee Cuddy (Hilary Swank) to transfer the women all the way to Hebron, Iowa, where their kin will retrieve the wives and return them further east to originating families. All three husbands are wusses and glad that Mary Bee will do the tough and troubling transport. The bossy Cuddy departs in a wagon with the deranged females in tow for Hebron … just about due east. It’s late winter, and blowing snow still falls on the plains. Shortly after starting for Iowa, she happens on to a rascal of a man and claim-jumper who sits, (hands bound behind him) on a horse with a rope about his neck. The horse, so far, hasn’t moved. George Briggs (Jones) is awaiting his comeuppance meted out by angry landowners. 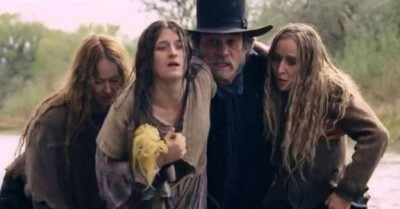 Since Mary Bee needs help, or I guess you could say a “homesman,” she cuts George loose from the noose with the caveat that he’d better damn sure not hightail it until the women are in Hebron. The Briggs role is a bit reminiscent of Henry Lloyd Moon, whom you saw in Goin’ South. You know, that really great and funny Western Jack Nicholson directed and starred in during the 70s? 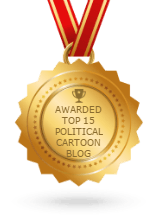 But Jones backs off several notches from the outrageous Mr. Moon and gives a good TLJ reading of a scoundrel of some darkness and intensity … and a smidgeon of “goofy” to balance out the hardship, grit and grisly moments of strife that couple with the insanity of the human cargo aboard the wagon. This Jones turn is almost as special as the one he gave in 2007 as the lead in the smashing In The Valley of Elah from. I also had trouble with the The Homesman insofar as motivation on the part of Mary Bee. Just into the third act, this strong, decent, determined and — to some — plain woman does a couple things that don’t fit … despite the loneliness and stress that is hers and other folks of those simple times. 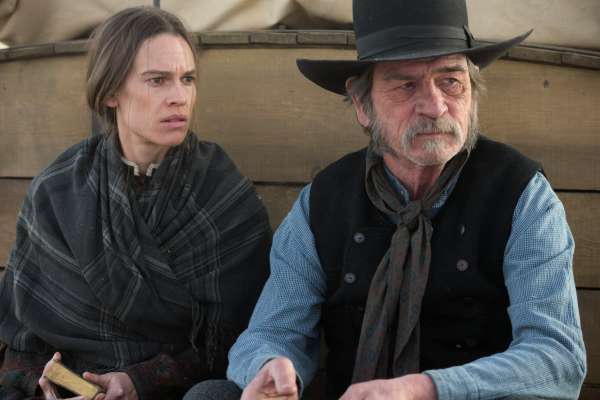 It helped me remind myself that, although the story is predominantly about the plight of pioneer women — seldom considered in Westerns or in this case Mid-Westerns — this, by God, is Tommy Lee Jones’s film and that it originated in a book by Glendon Swarthout.